Today’s post is by David Gass of BuyingAndSellingwebsites.com. Ask five website buyers what they think your website is worth, and you’re likely to get five different answers. Each buyer would likely have a different valuation number and potentially a different method for creating the valuation. There are so many factors involved in determining the value of a website it’s easy to understand why valuations will fluctuate from buyer to buyer. In the real estate market, Comparable Sales are called COMPS. A comparable is found by searching for related sites in your niche that are as close to your site’s age, traffic and revenue as possible. The closer the numbers are for a comparable site, the higher relevance the site has in the valuation. To create a comparable valuation on a website generating $250 in monthly income from Adsense, with 5,000 unique monthly visitors and a PR of 1, the first step is to search Flippa.com won listings for sites that closely match this criteria. The following are six sites in the results that can be used for the comparison. The comparable valuation would be $3,550 for the site. In this particular case, I’d recommend dropping the highest and lowest priced sites that were sold to get a better valuation. If you drop the $9,000 and $1,500 sites, the comparable valuation is $2,700. The revenue multiple valuation method is to divide the monthly or yearly profit by the sales price. Although buyers use this method frequently, it’s not an exact science. For example, the valuations should be different for two sites with $500 per month in net profit from the same revenue source (adsense for example) if one site has three months of history versus another site with three years of history generating the same income. A site with just three months history might get 6 times monthly profit as the valuation where as a site with three years may get 20 times monthly profit. The multiple valuation method results vary from 5.6 to 24.5 for these sites. Age isn’t the only factor in determining the multiple. The buyer could have additional sites in that niche or know ways to increase revenue for the site that the current owner isn’t using, which is why they will pay a higher multiple. It’s easy to see with this example that using just the multiple as a valuation method can be deceiving. X is the number of months it would take to earn back the purchase price of the site with the current monetization methods. Another approach to determining the value of a site, specifically sites that have yet to be monetized but have traffic, is the Traffic Value Valuation Method. This method is determined by researching the top key phrase or phrases that drive the majority of traffic to a website. Then find the Cost-Per-Click value of the keywords. For example, the site we have used in other examples: Bankruptcy-Chapter-7.org has two key phrases driving over 90% of its traffic, the two key phrases are; Chapter 7 and Bankruptcy Chapter 7. Once you know these terms go to Google Adword’s keyword tool and enter both terms. The approximate cost per click for each term will be found. For [Chapter 7] it’s $5.95 and for [bankruptcy chapter 7] it’s $11.44. If the amount of traffic going to Bankruptcy-Chapter-7.org is 900 visitors using Chapter 7 and 500 using bankruptcy chapter 7, then you can multiple the cost per click with the visits. The value of traffic to the site is worth $11,075 per month if a site had to pay, for each visitor with a service like Google Adwords. The next step is to multiply $11,075 by an amount around 45%. Taking a percentage of the total traffic value creates a more realistic picture of what the traffic will cost if paid, since not everyone would pay the maximum cost-per-click. Traffic Value ($11,075) x Percentage .45 = $4,983.75/month. The cost to build a site is pretty easy to determine. It’s easy to go to developers and ask them to look at a site and give a fair quote for the cost of creating the same type of site with new content. Obviously, a complex site versus a simple site will require a higher cost to build. The cost of attracting traffic to a site can be difficult to calculate. However, getting a quote from an SEO company may provide some good valuations. The first time factor includes the amount of hours for the buyer to get the site built and driving the same amount of traffic, whether its outsourced or created on their own. The second time factor is the opportunity cost. How much money would the site make in the time frame it would take to build a new one? The total cost to reverse engineer the site is $5,000 + $500 + $1,800 or $7,300. To best understand how to calculate the life time value of a customer when taking into consideration other expenses in the business and the acquisition cost of a customer, download the Harvard tool that calculates the LTV. Once a buyer understand the LTV they are able to determine how much they can spend for a site that will generate x number of customers. With DPE (dollar per email), a list owner may know, for every email they have in the list that matches the current demographics of their list, they can generate $3 per email. If they can find websites to purchase that have lists with emails that match their demographics, that list is worth $3 per email. A site with 2,000 emails could be valued at $6,000 for the buyer, without even looking at any other factors. If the site already generates income from other sources, add the value of income with the $6,000 valuation to determine the overall value of the site. David Gass is a serial entrepreneur who has started businesses with $200 and grew to multi-millions. His companies have been listed on the Inc. 5000 list of fastest growing companies in the United States three years in a row and he has received several awards for his entrepreneurial efforts and commitment to giving back to his community. He currently buys established websites as a business and teaches others to do the same at buyingandsellingwebsites.com. How do you generally value web sites? Do you have any questions for David? Let us know in the comments! 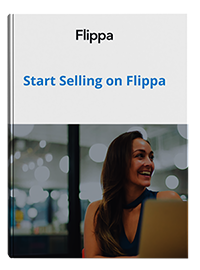 Download your free Flippa Seller Guide here.